The weekend before last (which sounds, and feels a lot longer than 10 days ago) included one of my favourite engagements of the year, the Christmas decorating. We usually do it on the 1st December but this year we had plans on that Sunday so Tom allowed me to sneak it into the diary a day early. 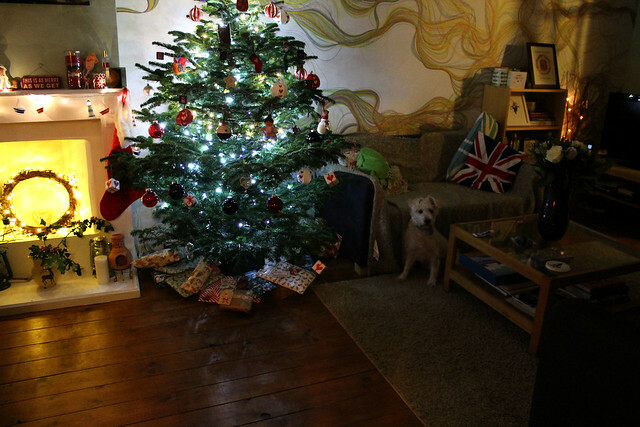 Tom actually used to work on a Christmas tree stall in Weymouth and in previous years we’ve got our tree when we’ve been down there visiting, but this year we decided to go to the Forestry Commission site in Brockenhurst to get our beautiful tree. 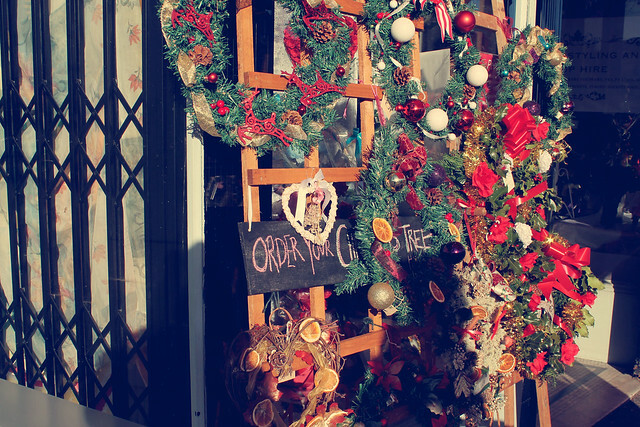 Our first stop in our day of Christmas excitement however was Boscombe, to visit Rosie Bespoke at the Florists Gallery. Rosie Bespoke is run by Rose, who does event styling and prop hire, as well as styling local businesses with beautiful Christmas arrangements. 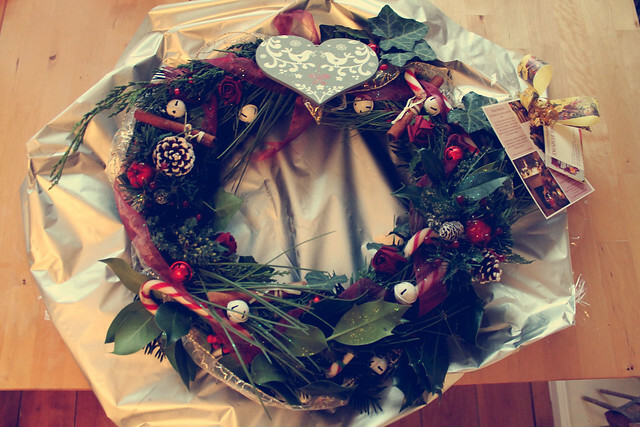 She also makes Christmas wreaths and kindly offered to make me one for our house this year. 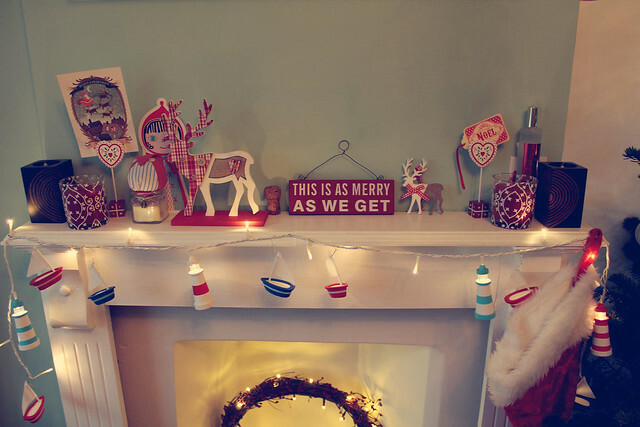 We had a little chat about what it might include and I suggested a Scandinavian theme with some candy canes. Well, I was not prepared for just how beautiful it would be. When Tom and I went and met Rose to pick up the wreath we were a little taken aback at just how stunning it is. It looks (and smells) amazing, and after hanging it on the back of our front door I keep going to have a look at it and admire it. It really brings a huge dose of Christmas cheer to our hallway and gets a lot of comments! 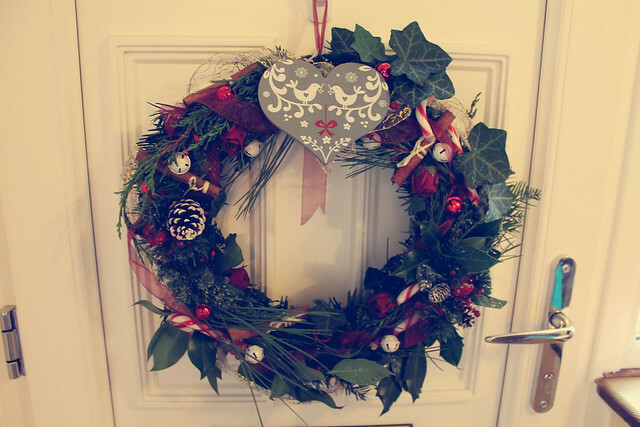 Rose is doing lots of Christmas fairs as well as selling her wreaths and Christmas trees from the florists so check out her Facebook to see if you can catch her. After a little nose around some shops in Boscombe we headed off to Brockenhurst to pick up our tree, singing loudly along to Christmas songs in the van on the way. Tom made a beeline for a tree he had spotted on the way in, grabbed it out and took it to buy it immediately, much to the dismay of the people working there who said they had been hunting for one as perfect as ours all day. 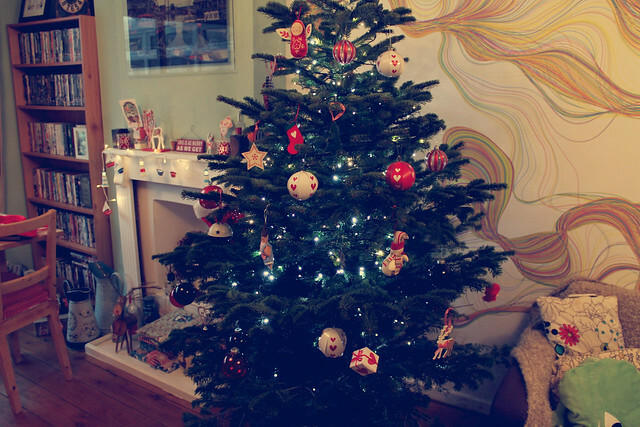 It really is a lovely tree, I guess Tom has a knack for choosing good ones from working on a Christmas tree stall for a few winters! We then took it home (but not before a stop for festive hot chocolates at Costa on the way home) and set about decorating the house. 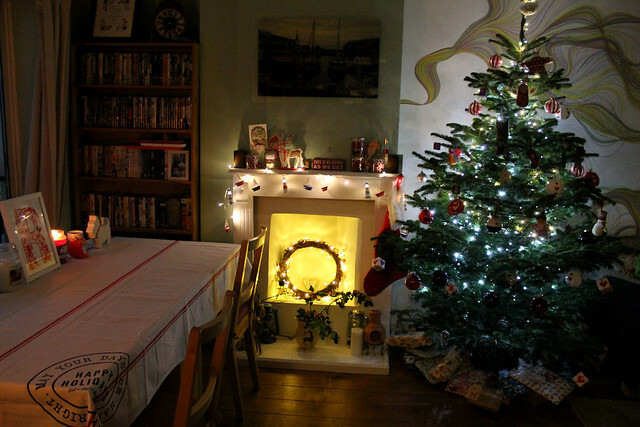 We warmed mulled wine up in a saucepan, put on Elf and pulled all of the decorations out of the dusty boxes they had been residing in for the last year. As well as a few additions I’ve picked up over the last few weeks of course – I couldn’t help myself in Sainsbury’s when I was doing the last food shop. 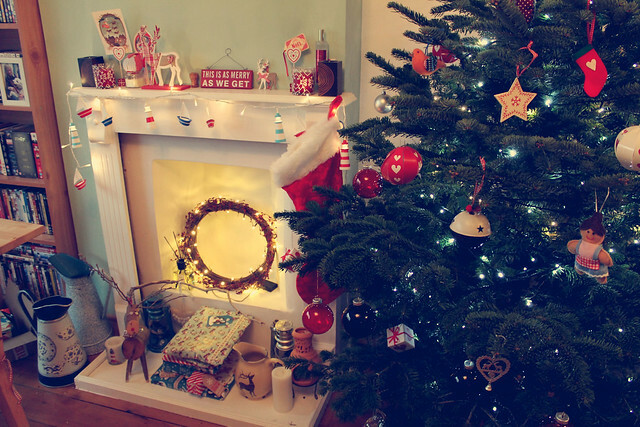 I really need to stop buying decorations as there’s barely any more room on the tree, but still I nearly put a few things in the Urbanara Christmas decorations section in my basket earlier! I tend to go for a bit of a mish-mash theme with our Christmas decorations (as with the rest of the house) but lots of reds and whites tends to go well with our existing colour scheme. Of course the times when the Christmas decorations and lighting really comes into its own is in the mornings before it gets light, and at nighttime. 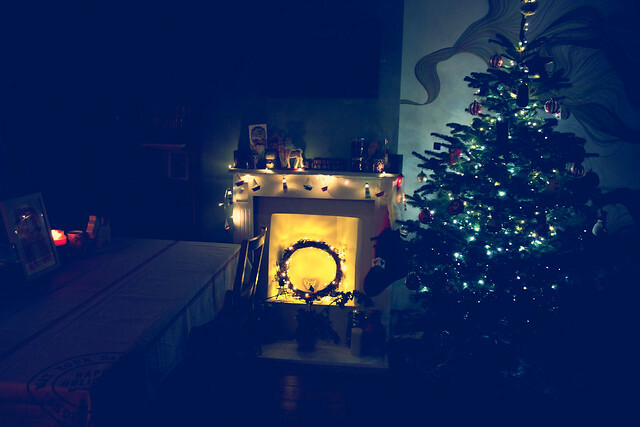 There’s no place I’d rather be than snuggled under a blanket on the sofa with my red velvet Yankee Candle burning and all the Christmas lights on. 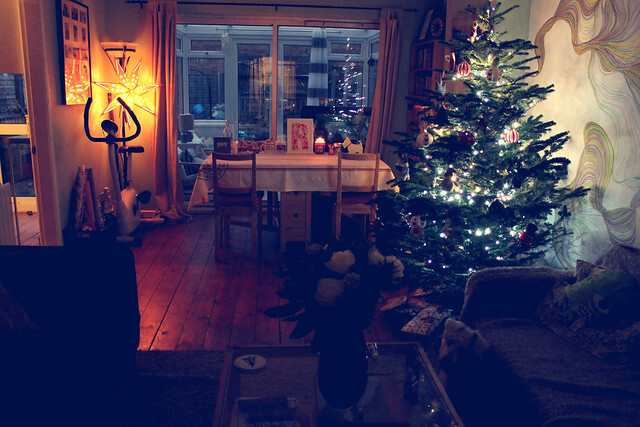 It’s just so, so cosy. Bodhi snuck into the last photo, I’m surprised he looks so awake as he particularly enjoys spending the darker evenings snoozing on the rug or curled up on the sofa!